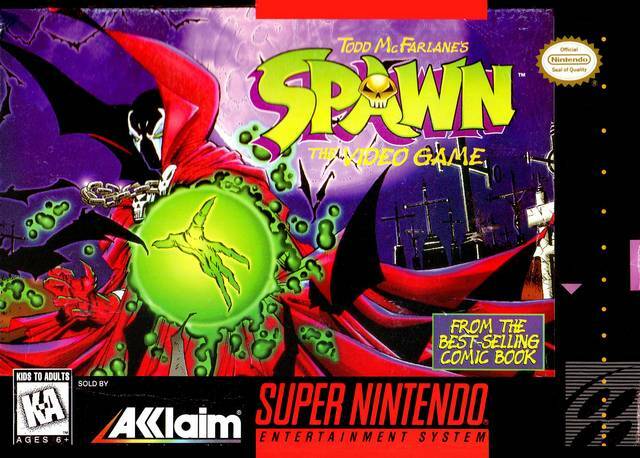 Spawn for Super Nintendo allows you to help Spawn keep the peace and restore order before everything goes to hell. You'll go up against some of the dirtiest, nastiest, most vile enemies you've ever seen Redeemer, Angela, Mad One, A New Breed, Overkill, Violator, and Maleboglia in familiar territory, like Bedlam Asylum and the spooky Darklands. As a superhero, Spawn has several special moves that will help in the fight against evil: like a Full Force Blast, a Searing Fest, Burning Fest, and Heal.